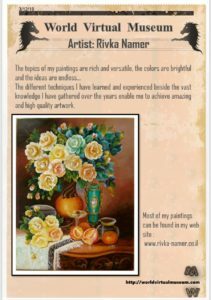 My name is Rivka Namer and I am a decorative painting artist. Since I was young, I was always engaged with art in many different ways. During my long stay abroad, I have learned the techniques of painting on silk and on ceramics. 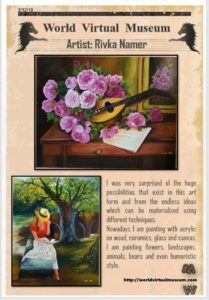 After my return to Israel, I practiced oil painting on canvas in different styles such as classic, romantic and realistic styles. 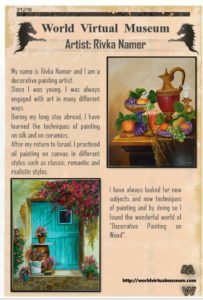 I have always looked for new subjects and new techniques of painting and by doing so I found the wonderful world of “Decorative Painting on Wood”. I was very surprised of the huge possibilities that exist in this art form and from the endless ideas which can be materialized using different techniques. Nowadays I am painting with acrylic on wood, ceramics, glass and canvas. 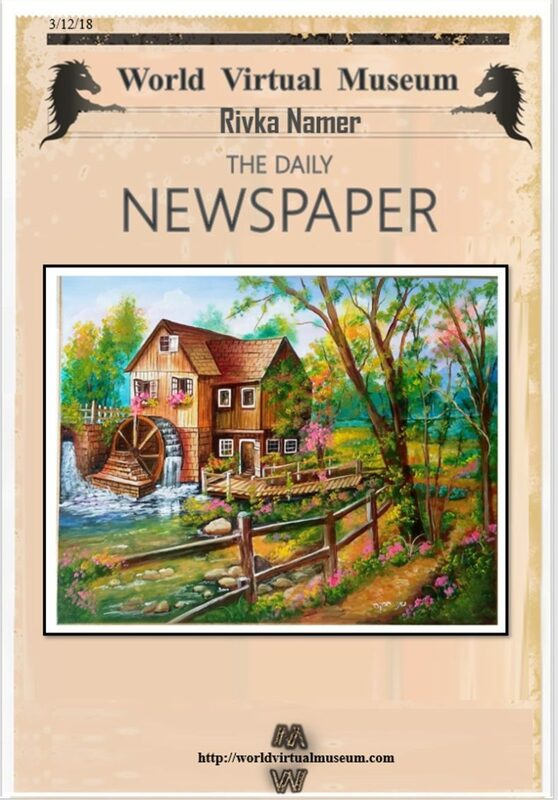 I am painting flowers, landscapes, animals, bears and even humoristic style. The different techniques I have learned and experienced beside the vast knowledge I have gathered over the years enable me to achieve amazing and high quality artwork. 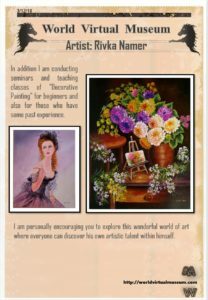 In addition I am conducting seminars and teaching classes of “Decorative Painting” for beginners and also for those who have some past experience. I am personally encouraging you to explore this wonderful world of art where everyone can discover his own artistic talent within himself.